HomeDog BreedsDeer Head Chihuahua vs. Apple Head Chihuahua – What’s the Difference? 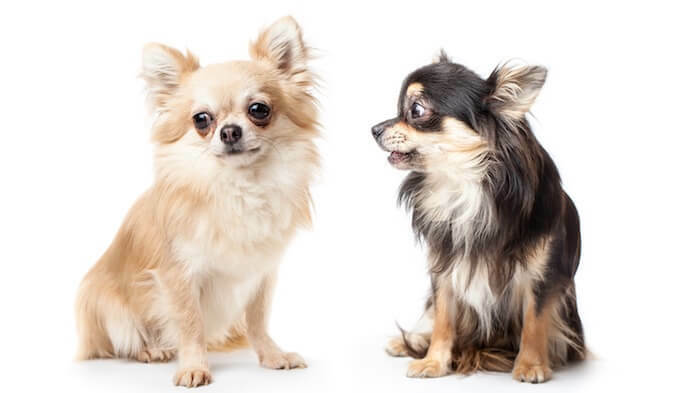 Deer Head Chihuahua vs. Apple Head Chihuahua – What’s the Difference? Deer Head Chihuahua have a slightly longer muzzle and a slope where it meets the forehead. Apple Chis have a more round head, with a definite junction where the muzzle meets the forehead. You will find a Chihuahua (“Chi”) has either an apple or a deer shaped head. Apple Chis tend to have more pronounced eyes. You will find Chis with either long or short coats in a range of colors. The Chihuahua is a stubborn, high spirited, terrier-like dog who does not suffer fools. They will stand up for themselves – even if the odds are against them. If you want a loyal companion who certainly keeps you on your toes, these are the perfect addition to your family. 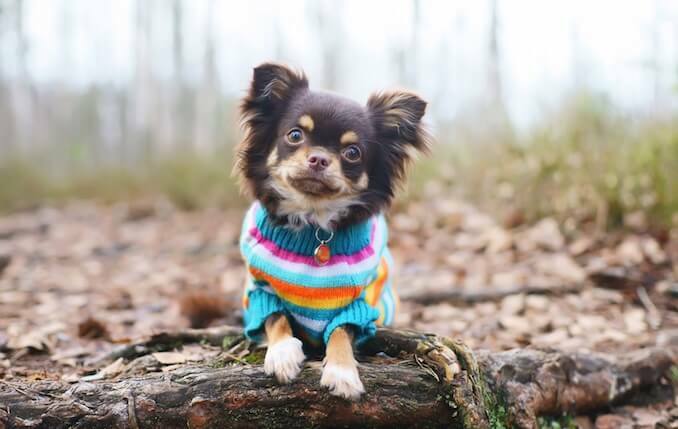 So you’ve considered looking for a Chi, you can be forgiven for thinking the only decision you need to make is whether you would rather a long or short haired pooch. Then you find the option of a Deer Head Chihuahua or an Apple Head Chihuahua. So what’s the difference? In this article we will look at the dog’s personality, appearance, the difference between an apple head and deer head. 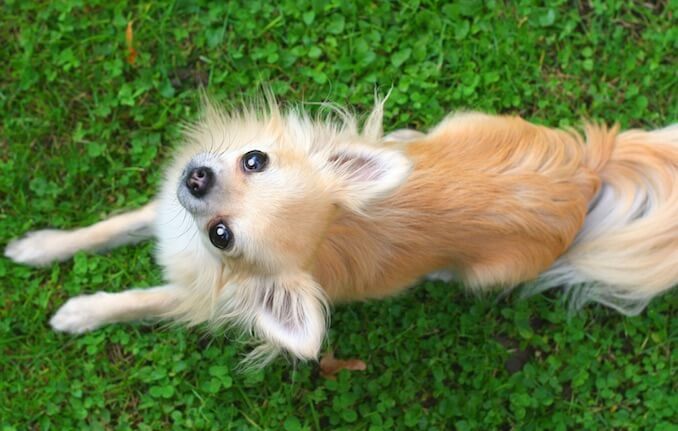 Often described as a big dog in a small dog’s body, the feisty Chihuahua has a few alternative appearances. 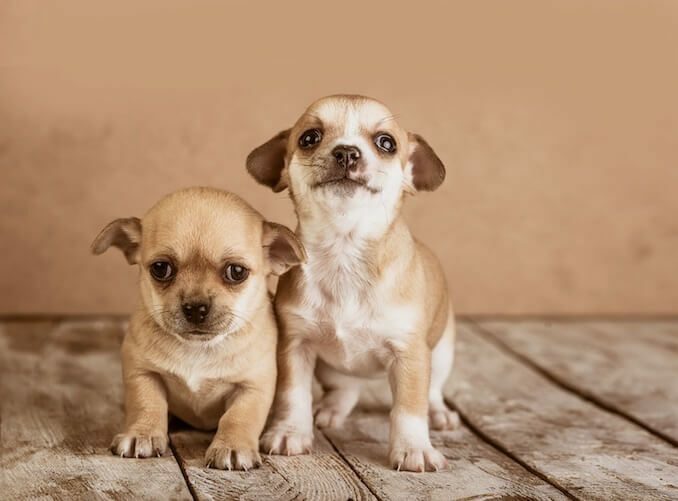 Whilst all purebred Chihuahua’s are registered by the American Kennel Club, the breed standard states that they should have an apple shaped head. You can still register a deer shaped head, you just won’t get very far in the show ring. Grab Our Free Guide: Download our free Deer Head Chihuahua Care Guide eBook. As we’ve mentioned both types are registered by the AKC, as long as they are purebred. They can be long or short haired. Interestingly, the UK Kennel Club registers the long haired and short haired as two separate breeds. For a Deer Head Chihuahua puppy you can pay anywhere between $500 and $1500. 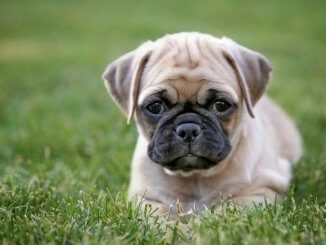 As always do your research when looking for a puppy – ensure you are purchasing from a reputable breeder. Or even consider adopting. Let’s have a look at the two different pooches in a little more detail. Apart from the shape of their head, the apple and deer Chi are similar in most other areas. They are just a Chi. Apple Head Chihuahuas can come in long or short haired coats and in a range of colors. Where their muzzle meets their forehead should be an obvious “L” shape, showing a 90 degree angle. Due to the shape of their head, their eyes are generally more prominent. They tend to have shorter necks compared to the deer head. Their body is also described as more squat with their shorter legs too. The apple head is the standard shape accepted by the American Kennel Club; only these big eyed pooches can enter shows and competitions. These little guys would be disqualified from any show or competition. These present very similarly to a deer face – hence the name – having a slope where the muzzle meets the forehead, usually around 45 degrees. Chis are loved in the media. From 1994 – 2009, Taco Bell had a Chi as their advertising figure and mascot. Bruiser Woods made a career from the Legally Blonde films and we have the popular Disney Film, Beverley Hills Chihuahua which pulled $94M in the Box Office. Then Paris Hilton made it fashionable to carry your pooch in your handbag. We’re just suckers for adorable, larger than life characters. Dating back to the Aztecs, these hardy pooches have stood the test of time. Found in their masses in the State of Chihuahua, they first appeared in America in the early 1900s. Throwback to the 1990s and most will remember the iconic Bruiser Woods in Legally Blonde; the feisty Chihuahua co-star of Reese Witherspoon. 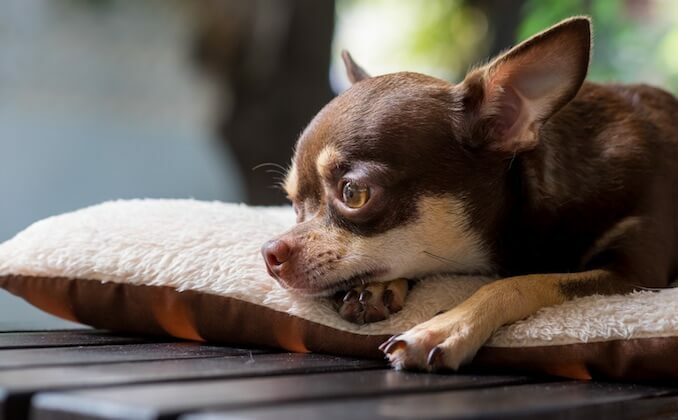 Thanks to the popularity of Witherspoon and the success of the film – Chihuahuas found their place in many handbags and laps, becoming the perfect companion dog. It’s not clear how we ended up with the deer head and apple head Chi, but this high spirited and alert pooch dates back to the Aztecs. It is thought that the Toltecs’ dog of choice was that of a Techichi and when the Aztecs conquered the Toltecs in the 12th Century they refined the Techichi into a smaller and lighter dog. 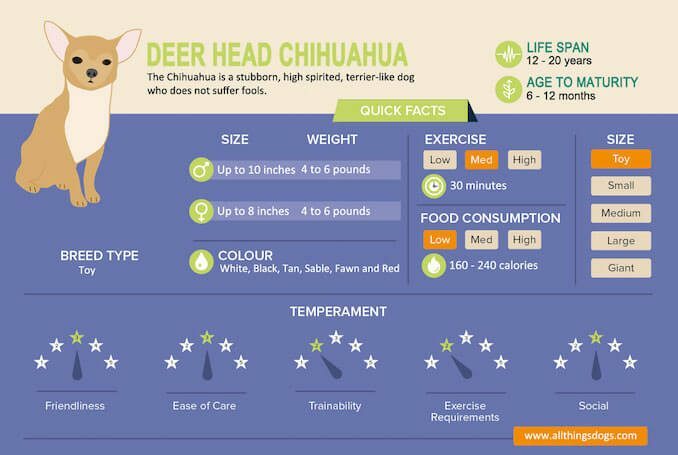 How long do Deer Head Chihuahua live for? Between 12 to 20 years; a superb lifespan. How big do Apple Head Chihuahuaget? Between 4 to 6 pounds in weight and 6-10” in height. They are generally fully grown by the time they are 1 year old, but, fully sized at around 6 months old. How much do Chihuahuas eat? Your 4 pounds chi should scoff around 160 calories a day. Both the apple and deer head boast the same no-nonsense personality. They are fierce, stubborn, alert and intelligent. These high spirited pooches are better suited to adult only homes – their small size doesn’t bode well when kids are running around at 100mph. They know what they like and what they don’t. This dog can easily be wary of strangers, and if spoiled a little too much, can become defensive of their family, resulting in barking and sometimes snappy behavior. Their small size has made them a perfect handbag and lap dog – they have become accustomed to this attention. They do not tolerate being left alone for long periods and will bark/snap until you reappear. House breaking can be a challenge so if you make the mistake of leaving them, you’ll probably find a gift on your return and chewed furniture. They are generally sociable with other animals, but his prey drive sure outweighs his size. They love nothing more than chasing squirrels and birds. Don’t let his size fool you – he’s a quick little thing. They tend to do their own thing so I wouldn’t bank on him returning any time soon. It’s a much safer option to keep your Chi on a leash. A tiny body housing such a huge personality – if you can get past these quirky behaviors you will have an affectionate and loyal companion. Still think you have what it takes to care for this puppy? Often described as terrier-like, these guys have the attitude of self-importance. They will stand up for themselves even with the odds are against them. Alert, intelligent and confident – they are loyal companions will surprise you everyday. Food and Diet – How Much Does a Chihuahua Eat? 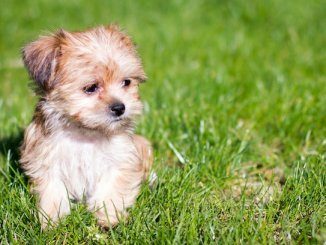 Classed as a toy or small breed, on average, a small breed, weighing less than 20lbs will use around 40 calories per lb of body weight per day. So if you have a Chihuahua that weighs in at 4lbs, you should expect to feed them around 160 calories per day. Research which foods are suitable for your Chi. Due to their small size, some Chis struggle if they are fed kibble as the biscuits are just too big for them. There are specific small breed foods available but you may find a wet food food may suit your Chi better. The food should have a good quality source of protein and fat. The meat source should be the first ingredient in the list. Carbohydrates, although required for energy, are less important in a dog’s diet. As Chis are small and do not have high exercise needs it can be easy for them to gain weight. Ensure you keep a check on this and see your veterinarian if you are ever concerned about your dog’s weight. These alert guys are pretty hardy – you should expect to have them as part of your life for anywhere between 12 and 20 years. As we’ve mentioned, Deer Head Chihuahua are pretty low on the list for exercise requirements. They are more than happy with between 30-60 minutes per day. 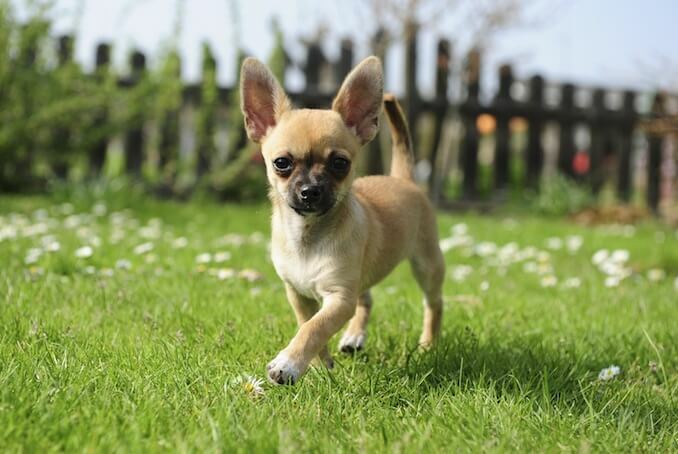 With your Chihuahua Puppy, use the 5 minute rule; every-time you walk your dog until they reach maturity. Walk your dog 5 minutes per month of their age, so when your puppy chihuahua is 3 months old; walk for a maximum of 15 minutes each day. This helps to make sure you don’t over exercise or cause damage to your dog’s skeletal system. To compensate for a lack of walking during their formative months. Their high intelligence makes them more suited to brain games. They can lose interest quite quickly so we’ve found the best way to keep them occupied is to make them work for their food. Start by holding a treat, in a closed hand, by your dog’s nose so they can smell it. Move it slightly to the side and down. Your dog will probably try to nuzzle you to get the treat. Keep holding the treat until he attempts to get it with his paw. As soon as he touches your hand with his paw, give him the treat. Repeat until your dog’s first response to get the treat is to use his paw. When he does this, use the command “paw” to label the behavior. Chis respond best to rewards and positive reinforcement training. High value food treats usually top the list for asking Chis to do what you want them to. But remember they have got a stubborn streak so you will have to be patient. House training can be problematic with these small puppies. A consistent routine is key. Take them out after every meal and at regular intervals throughout the day. Praise them when they “go potty” outside. Avoid leaving them for long periods of time, if you do you can bet your life you’ll have a mess to return too. Avoid the use of punishment as we know aversive techniques result in fearful and aggressive behavior – the last thing you want is an aggressive and dominant Chi. Their alert nature means early and continued socialization is essential. But remember their size; large crowds can be intimidating to small pooches. Introduce them to what the world has to offer but in a safe way. Introduce them to all sorts of people; tall and short, men and women. Let them experience machinery, equipment and vehicles. Try to avoid the mistake a lot of small breed owners make. If their pooch gets worried – they pick them up. Instead, just show them how to remove themselves from the worrying situation. Calmly walk away. Dogs learn through operant conditioning – what this means is that when you pick your dog up, they figure, “Mum or Dad will pick me up and fix the problem”. What we want them to learn is “that’s a bit scary – let’s just walk away”! They weigh in on the low side of the scale for grooming. Twice weekly brushing will be ample for the short haired guys, whilst more regularly brushing will keep the long coats knot free. The Apple has a more round head, with a distinctive junction between the muzzle and forehead. The Deer having a more sloping appearance between the muzzle and the forehead. The Deer has larger ears and a longer muzzle. The Apple has more prominent and expressive eyes and is the required standard to enter any competitions or shows. The Deer can still be registered with the AKC as long as they are a purebred Chi. All Apple Head Chis are born with a soft spot in their skull. 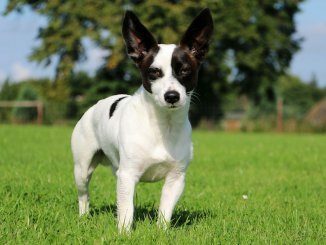 Sometimes this closes when they reach adulthood Can be larger and heavier than an apple Chi – hence why they are not accepted within the breed standard. They can have two coat types – a long or short; sometimes known as smooth, coat. The smooth coat requires a couple of brushes a week, whereas the long coat does need a little more attention to remain knot free. You will find Chis in a range of colors including White, Black, Tan, Sable, Fawn, Red. Bi and Tri color mixes of these colors are also acceptable within the breed standard. Due to the dental and eyes issues prevalent in the breed it is essential to regularly clean and check their eyes and ears. Speaking of health conditions – Chis are susceptible to a number of concerns. Dental issues – due to their small mouths, there isn’t a great deal of room for their teeth to grow. This can result in impacted teeth and enamel wear. Check your Chis teeth as they are growing and ensure you regularly clean them. Hydrocephalus – common in toy breeds (e.g. Peekapoos and Morkies) this is when there is excessive fluid within the brain. Treatment includes medication and surgery but prognosis depends entirely on severity. Soft spots – this is particularly common in the Apple Head Chi. They are born with soft spots where the skull plates haven’t fused. Despite it being accepted within the Breed Standard, where there is a soft spot there is no protection, so Veterinarians argue that it should ideally be out-bred of the Chi. Eye issues – again thanks to the shape of their head – the more prominent and excessive the eyes, the more likely the Chi is to suffer with eye issues. Infections are common in the Chi and bulging eyes can be a sign of hydrocephalus which we have previously mentioned. Ensure you keep your pooches eyes clean and attend regular check ups with your veterinarian. 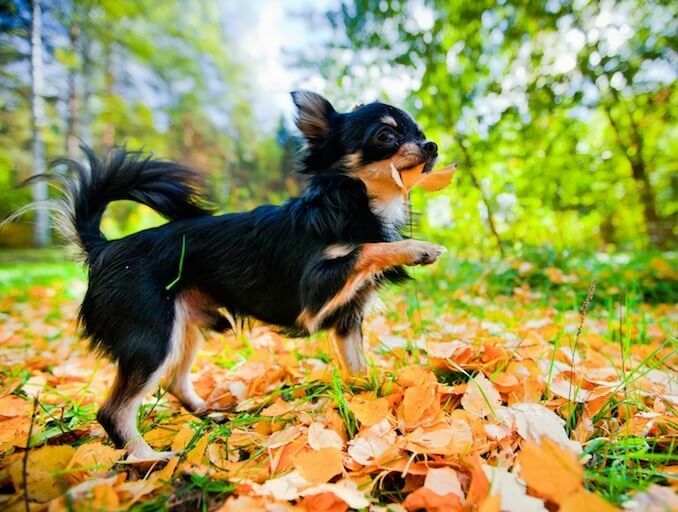 Luxating patella – small breeds are 12 times more likely to develop luxating patella and the Chi hasn’t escaped. This is when the kneecap moves out of the trochlear groove. It can lead to osteoarthritis, pain and lameness. It is also worth noting that Chis don’t do particularly well in colder weather – hence why you tend to see them sporting all sorts of attire; chis will shiver to let you know they are cold as they struggle to regulate their body temperature. If you live in a colder climate, expect to have a wardrobe of coats and jumpers for your pooch. Chis are classed as a toy breed – not surprisingly when they fit in handbags. 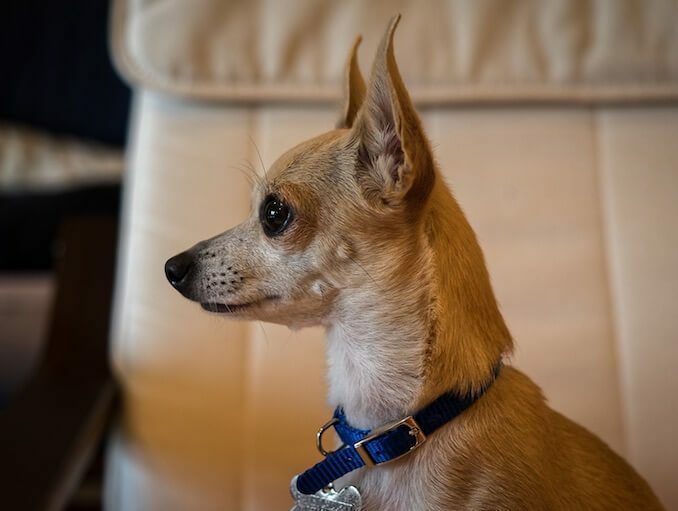 The feisty, alert and high spirited Chihuahua. Not much different in temperament, the Apple and Deer Chi only alter in appearance. These potentially unruly guys are best suited to adult only homes where they will have plenty of company. They are in their element on your lap; not being particularly fond of excessive exercise. Brain games will keep their intelligent mind active but it may take you a while to find the ones they like! Patience is a must with these stubborn companions. House breaking can be problematic, but positive reinforcement and reward gives you the best shot. Early and continued socialization is key to raising a well-rounded confident canine; whilst remembering their size and teaching them appropriate responses out in the real world. Whilst not ideal for first time dog owners, they are a perfect addition if you seek unwavering loyalty with a bit of chutzpah thrown in for good measure! Tell us what you think, are you team Deer Head or team Apple Head when it comes to Chihuahuas? We just got a 4-6 year old chi, she was in a foster home for 2 years. The first time I met her, she bit me. For days, I left her alone and let her come to me. Now, she is “MINE”, still, very nervous and weary of everything. Your article really helped me a lot. Thanks.